-- Select a Size/Color -- 4' Leash - Out of Stock! 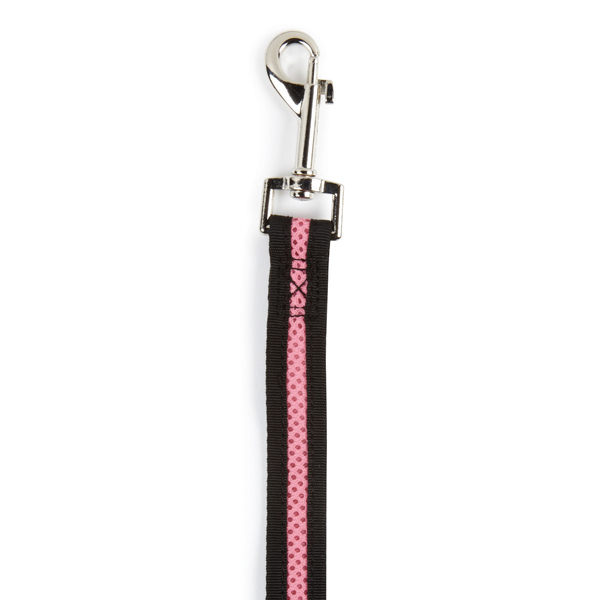 Take your pup on a sporty-looking walk with our Casual Canine Mesh Dog Leash in Pastel Pink. 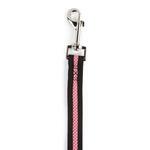 The Casual Canine Pastel Pink Mesh Dog Lead is strong and lightweight leash for dogs and made of breathable mesh. Each dog leash has a nickel-plated swivel clip. Matching dog harnesses and collars sold separately. Also available in pastel blue. Posted On 06/16/15 by Jan C from Colorado Springs, CO Yes, Jan C recommends this product! This is a perfect 4 ft leash. Handy when walking 2 small dogs. I just tie the hand loops together. Very comfortable padded grip on this one. Just what I was looking for. Very quick delivery. Great quality of products and I as a pet owner appreciate your company,s attitude about family pets being part of the family. Unlike the law they are not property.